As I continue to discuss early influences in my career, I have to bring up the name of Barry Windsor-Smith. 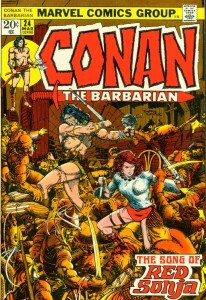 Like Swamp Thing and Berni Wrightson, I discovered Smith’s Conan after it had already run its course. Smith along with Wrightson were already doing their studio thing before I discovered their comic work. As an ambitious 5th grader I started my own comic company with a kid across the street (although I did almost all of the work). The first comic I actually drew pages for was called The Swamp Ghoul (gee, I wonder what inspired that? ), the other was the barbarian tale of Valon the Destroyer. Valon looked surprisingly like Barry Smith’s Conan. It is interesting how I aped Wrightson when doing a monster story but then tried to ape Smith when doing a barbarian story. I loved Windsor-Smith’s eye for detail and thought his work in Conan #24 (which he inked himself) was his crowning achievement in comics. He must have thought so too because he jumped ship right after. But as cool as I thought his work on Conan was, my favorite barbarian book has always been the first 10 issues of Kull the Conquerer. As appealing as the art in the first issue was (Ross Andru inked by Wally Wood), it was the work of John Severin over Marie Severin that really caught my attention. While Windsor-Smith’s Conan was highly detailed with a palpable renaissance feel, his odd facial anatomy sometimes left me cold. That is where the Severin’s work delivered; detailed and yet anatomically correct, it was something that connected much better with my 11 year old sensibilities. This is not to say that I don’t love and respect Barry Windsor-Smith’s work because I do, I just enjoy Severin’s Kull more than Conan. And yes, I aped his style for a short period as well. 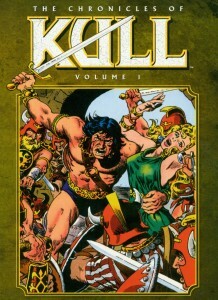 Aside from the art, the reason I liked Kull better than Conan was the character. I found the barbarian king with a heart of gold more interesting than the barbarian thief with an occasional moral conscience. That, however, is another topic for another time. Neither Windsor-Smith nor Severin ever made a noticeable impact on my style of drawing long term but they both helped me in my developmental stage and I still look at their work from time to time for inspiration. In my previous posts I have discussed some of the artist’s that influenced me during my developmental stage but no one inspired my early style more than Berni Wrightson. The older I get and look back on it the stranger it seems to me. I was raised in a Christian home and have been a Christian most of my life and yet one of the greatest influences artistically was Wrightson, an artist whose claim to fame is his monster and horror art. Where’s the logic in this? Most illustrators like to recreate what they see or perhaps re-envision it but their subject matter comes from visually interpreting the world around them. Fantasy illustrators or artists (like me) like to create their own reality. So things that are not real, monsters or elves or dragons or whatever, are what appeals to me naturally. I don’t think I am in love with monsters or the macabre as much as I am in love with great execution of fantastic subject matter. Which brings me back to Berni Wrightson. I discovered Wrightson after someone showed me Swamp Thing 3-4 years after it had come out. I only bought the 10 issues Wrightson drew (later I gained a great appreciation for the Redondo issues). I was never all that interested in the character, I was only interested in how Wrightson drew it. Wrightson’s ability to combine black spotting and line work to create volume and atmosphere was probably his greatest appeal. I followed him to his Creepy and Eerie work, even though it was more horror than monster, because I had fallen in love with his style. I also admired his willingness to challenge himself with different approaches. 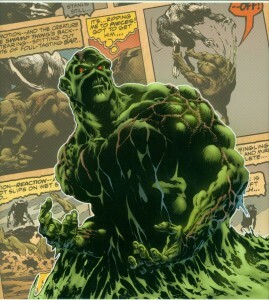 The first 9 issues of Swamp Thing are inked with a brush, his last issue was inked with a pen. 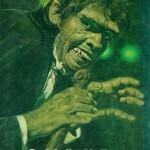 Compare the finishes on the Creepy and Eerie Magazine stories The Pepper Lake Monster, The Black Cat and Cool Air. One is pen and ink, one is straight brush and the latter is ink wash. Of course, his work on Frankenstein is the stuff of legend. To my mind Wrightson has always been more of an illustrator than a comic book artist which is always what I have wanted to be. By the time I turned 19, I was such a Wrightson clone that I decided to sell my entire Wrightson collection (and I had everything) because I felt if I didn’t break away from his artist influence all I would ever be was a cheap imitation. 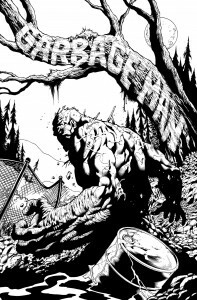 Now the Wrightson influence in my work is not even noticeable unless I am drawing something monster related (see my Garbage Man work) and then it becomes obvious. So I have moved past my fascination with Wrightson but my admiration for the quality of his work between 1972-1980 still remains. I didn’t discover JC Leyendecker’s work until my late 20’s so it is probably not accurate to describe him as an artist that had a great deal of influence on the forming my style. However, he has become one of my favorite all time artist’s and is someone I look at quite frequently. In fact, I now collect his Saturday Evening Post covers (when I can find them) as I believe them to be the best work of his career. I even prefer his work over Norman Rockwell. Why you ask? Well, let me tell you! 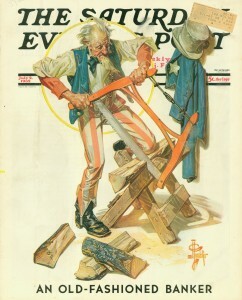 Leyendecker’s work is so stylized that I often refer to him as a comic book artist before there were comic books. He did use models to draw and paint from but he clearly went farther in the drawing stage than just representing the model as he or she was. I know almost all classic illustrators (including Rockwell) redrew their photographic reference to either exaggerate the model’s expression or pose or to alter the look of the face (see Gil Elvgren) but none of them did it to the extreme that Leyendecker did. Take away the paint and Leyendeckers people are down right “cartoony” (I mean that in a positive way) looking and yet completely believable. To quote inker Gary Martin, his work has “appeal”. A likeable charming quality that is hard to put your finger on. 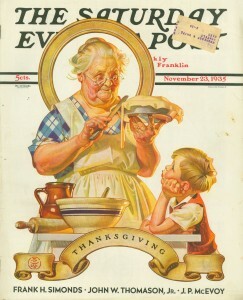 You either have it or you don’t and Leyendecker’s work has it. The two covers I am posting are excellent examples of this. The Grandma making the pie for her grandson is one of my all time favorites. Mainly because the Grandma reminds me of my grandmother but both characters are so charming and yet so unique and stylized in their execution. The bold angular folds in the clothing and the large chunky shapes of hair are really masterful. Look at the face on the Uncle Sam cover. No one could possibly have that much character in their face. It is just a great combination of believable reality coupled with stylized imagination. Check out his Santa Claus covers for more great examples of this (unfortunately I haven’t found any for sale yet). Leyendecker was a true pioneer of illustration and deserves a lot more recognition than he gets. Yesterday I talked about the influence Frazetta and his paperback covers had on me as a youth. There was another artist that was a very close second in capturing my imagination and that was James Bama. Specifically his amazing Doc Savage covers. Much like I discovered Burroughs through Frazetta, I became enamored with Doc Savage entirely because of James Bama’s depiction of the pulp hero. 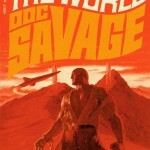 The interesting thing about Bama for me is that although I admire all of his various works and his flawless technique, I don’t find his western fine art as compelling as his Doc Savage work. The reason for this, I believe, is that with his Doc Savage paintings, Bama altered the look of his model in the drawing stage. Instead of staying with a strict realist approach, he exaggerated the muscularity, made the arms longer and the hands bigger and sometimes the head smaller to make Doc look larger than life. So now instead of pure photo realism, you have a figure with exaggerated superhero proportions being painted in a realistic manner. That adds an element of fantasy into work that makes it infinitely more interesting to me. I finally have a blog! Now I am just like everyone else on the web. The question is what do I plan to do with this new found forum of free expression? Talk about art! What else? Let me send out a warning, though. If you choose to post responses keep them clean and keep them civil. I am not interested in political or social rants and I am not interested in seeing any four letter words. There is plenty of that type of rhetoric elsewhere. I am an oddity in this industry in that I am a Christian and my moral leanings do shape my opinions but I am much more interested in talking about art than banging my head against the wall in an unproductive argument with someone who doesn’t agree with my ideologies. So let’s move forward with smiles on our faces! Many people ask about my artistic influences and I do have many that have helped shape my style and approach. The earliest of these had to be Frank Frazetta (I know he influenced everyone). Every time my parents went shopping at the mall they would drop me off at the bookstore and I would stay in there and look until they eventually made their way back to pick me up. What kept my attention during that time were the various paperback covers and fantasy art books that seem to have all but disappeared ( I miss the 70’s). Of course the ones that stood out to me were the Frazetta covers along with Ballantine published Art of Frank Frazetta books. 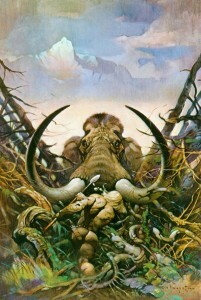 I never would have discovered Edgar Rice Burroughs if not for the Frazetta covers! Out of all the incredible pieces Frazetta painted my favorite would have to be the cover to Back to the Stone Age. This was the first Burroughs book I bought and read and it was all because of this outstanding cover. If I only had $500,000 I would buy the original!